This was an extra fun one to make as I had new goodies from Reverse Confetti AND new watercolors to play with. I recently received the new QOR watercolors and just look how vibrant the colors are on that background. For some added interest, I also used a bit of gold. A drop of Delicata Golden Glitz reinker on my craft mat, touched it with a wet paint brush and dropped it onto the watercolor panel. "birthday" was die cut then coated with irRESISTible Pico Wedding Dress embellisher (my all time favorite)!!!! 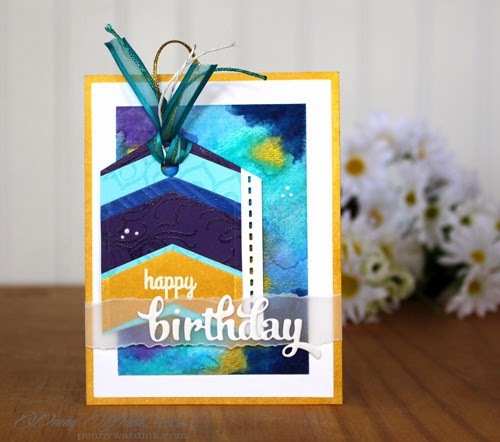 It's Friday....Ok, it's really Thursday but tomorrow involves a special Blog hop with Simon Says Stamp, so I wanted to make sure I welcomed Samra properly and her cute blog. Thanks for all of your wonderful comments and I even had a couple of questions this week. YAY! 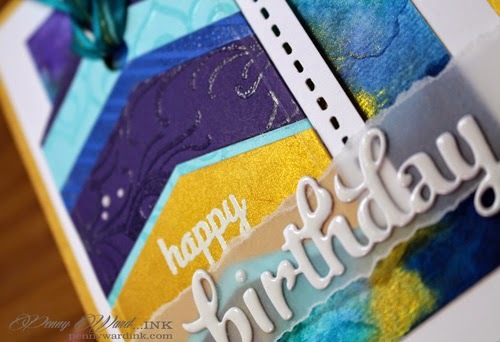 WOW - this card is so luscious!! Full of amazingly bold and vivid colors!! I love the styling and the pop of white in the sentiment on the vellum just makes this a stellar card!! STUNNING card that I had to come leave a comment on your blog. IMO, you're the winner for the month's challenge. LOVELY. The colors, the details...everything! Thanks for joining us at SFYTT! !